Extract is a collection of interior products consisting of a room screen, daybed and blanket. The products are composed of specially selected fabrics, meticulously unthreaded in to new geometrical patterns. 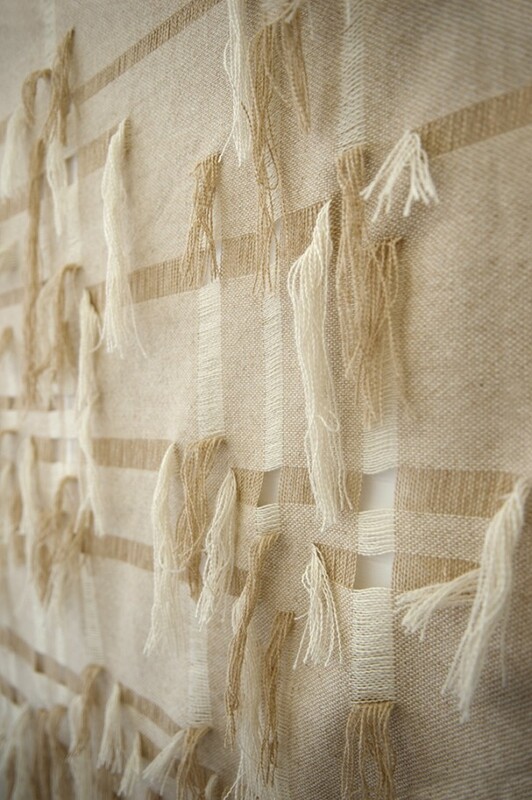 The machine woven structures are unthreaded by hand in order to create new geometrical designs within the fabric. By doing this the tightly woven, opaque textile become translucent and the relation between the different threads that make up the fabrics becomes clear.